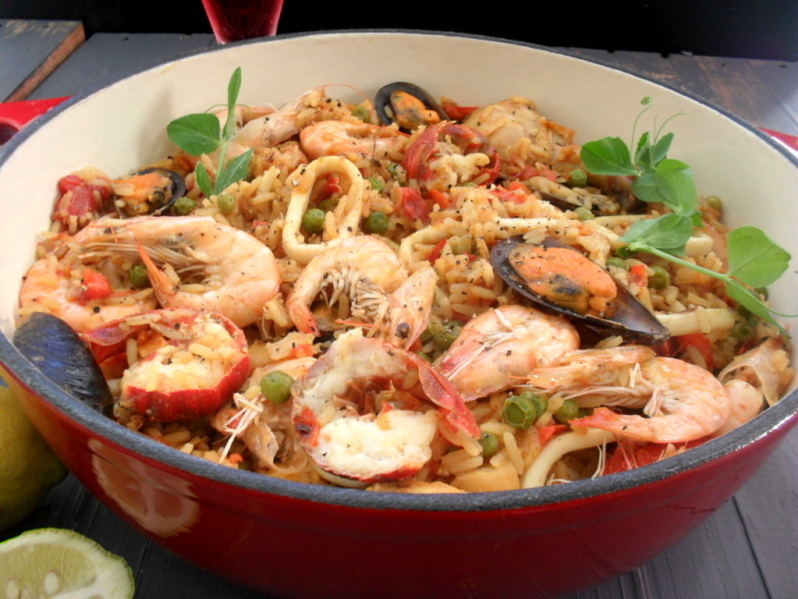 Paella often features on my table when I invite people over for dinner. Most people love it and it makes for easy entertaining. 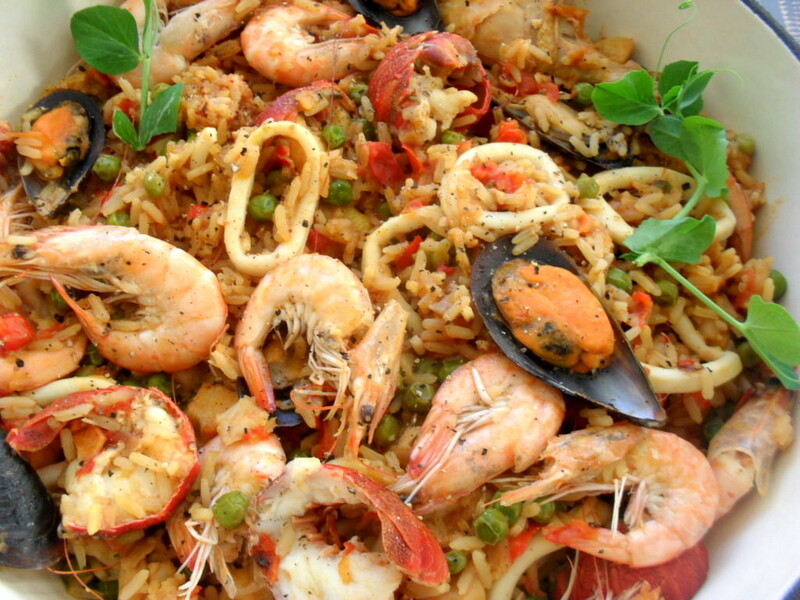 Paella can easily be doubled up to cater for a large amount of people. Guests often tell me that they have never eaten paella before which always surprises me since the dish is available in many restaurants. 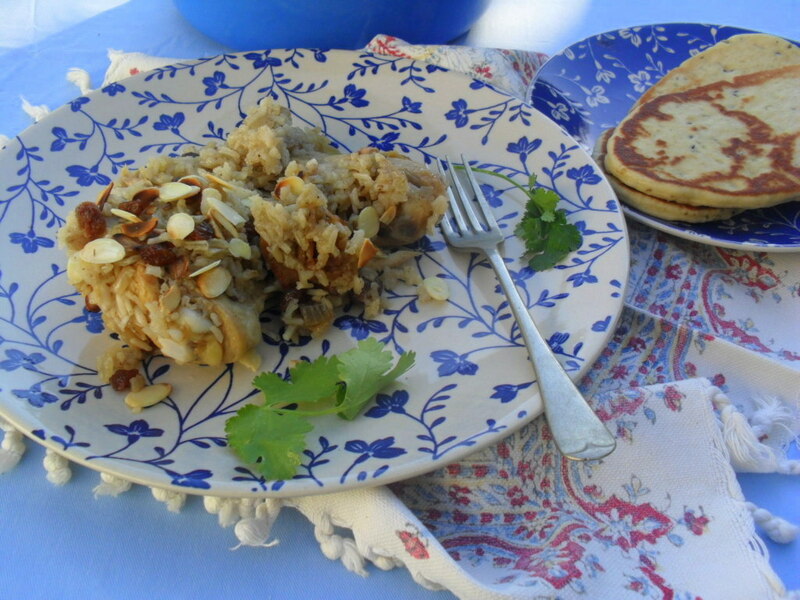 I have blogged this before, way back in 2009 and I still use more or less the same recipe. People also often thank me for the immense trouble I put into creating dinner. I normally just smile and enjoy the fact that I am regarded as a great host who spend hours in front of the stove to create the perfect dish! 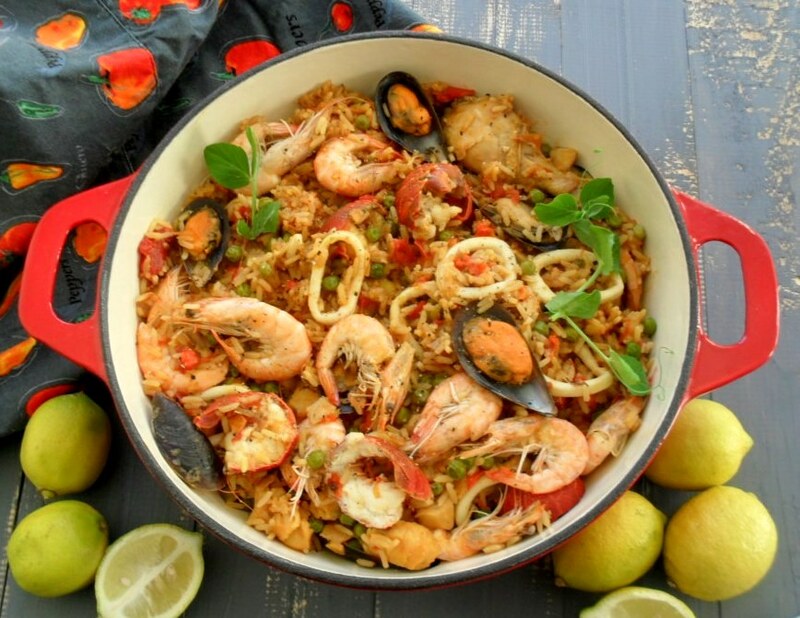 🙂 The fact is that paella is an easy dish to cook once all the seafood is prepared. I can honestly say that I have never made paella that was not perfect. 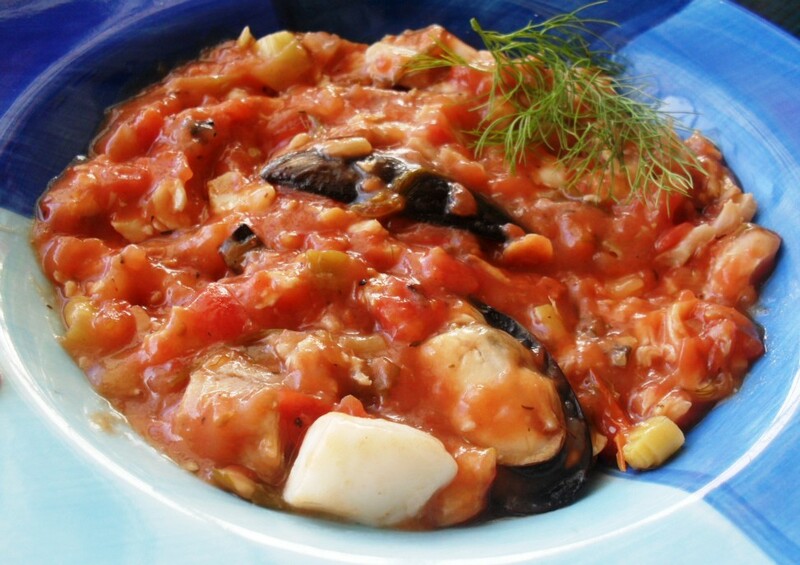 One must just remember that seafood such as calamari; mussels and prawns cook quickly and can easily be overcooked. The dish can be cooked until rice is done and then be left, covered, on the stove. 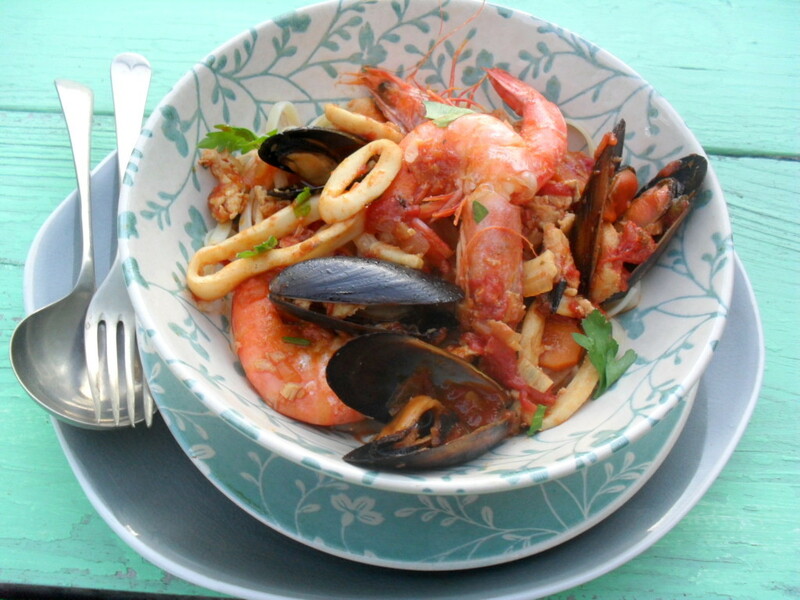 Reheat the dish just before serving and add the raw calamari, mussels and prawns and a dash of stock or wine. Cook until the prawns turns pink in colour. The dish is very versatile and you can leave out some of the ingredients. I have added some crayfish tails to this paella which I normally don’t do, but since I had some frozen ones, I decided to add them to the dish. You can also add some sliced chorizo for a wonderful smokey flavour. Seafood can be expensive, but lots of supermarkets and fishmongers often have specials. 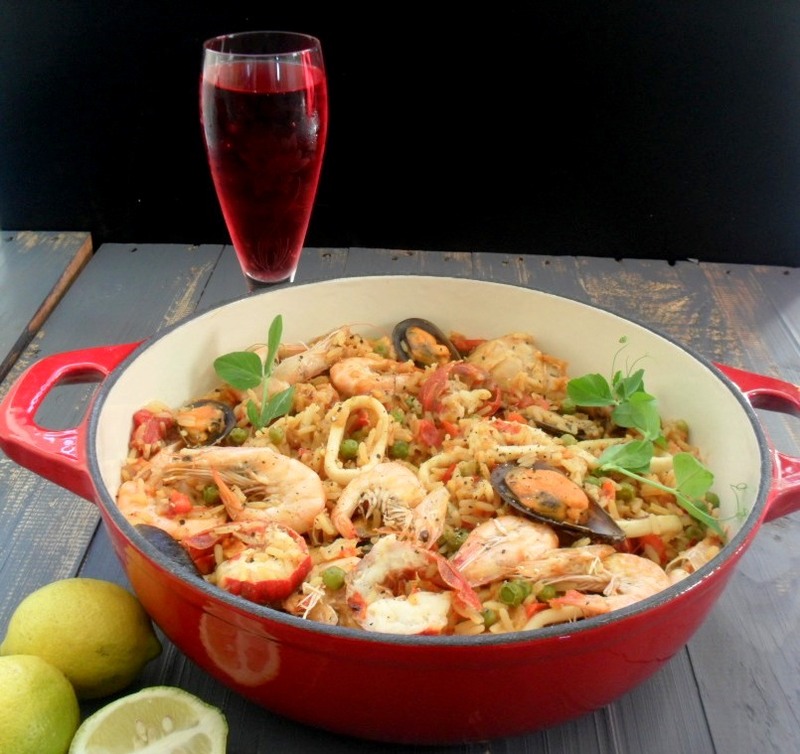 Buy when it is on special and make this delicious paella and wait for the compliments! Heat the oil and butter in a large pan and brown the chicken pieces. Remove and keep aside. Split the crayfish tails in half lengthwise and fry in the same pan. Set aside with the chicken. Fry the onions in the same pan until soft and caramelized. Add the garlic and the red pepper and sauté for 2 minutes. Add the tin of tomatoes and 400ml of the stock. Return the chicken to the pan and cook, covered, at low heat for 20 minutes. Add the pinch of saffron to the remaining chicken stock and leave to soak. Add the remaining stock with the saffron, the cubed fish and the peas. Season with salt and pepper and simmer until the rice is cooked and most of the liquid is absorbed. Add the calamari and mussels and simmer for 4 minutes. Add the crayfish tail and prawns and cook until the prawns turn pink. I do like a paella. My hubby makes this for us on the skottle, wonderful dish to socialise with. It is a wonderful dish to socialize with! I like the idea of making it on the skottel! Although it contains lots of ingredients, it is a very easy dish to prepare!